The snap package of VidCutter, a free and open-source video cutting and joining software, now is available. Snap package, the universal Linux app packaging format, runs in sandbox and comes with most required libraries bundled. It runs in all current Ubuntu releases. 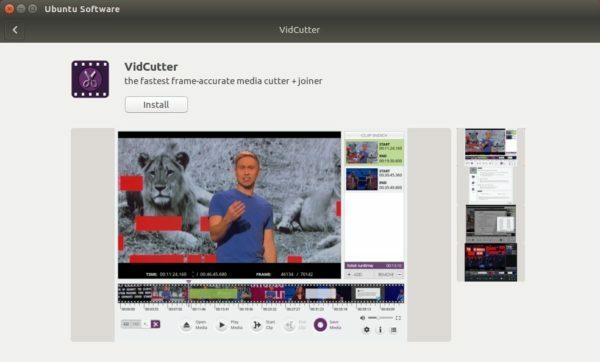 VidCutter, a simple Qt5 video cutting and joining software, reached 5.5.0 release earlier today with most requested feature media stream support. Media stream support for use when clips are all derived from the same source media OR media files added manually all share the same codecs, formats, etc. Migrated main toolbar buttons from QToolBar + QActions to new custom widget VCToolBarButton handling QPushButton with attached. Ability to set clip index list to the left or right (default) of main window. Fullscreen mode rewrite for Qt 5.10 changes + better support in wayland. Updated keyboard shortcuts to include some added keyboardand mouse based shortcuts. 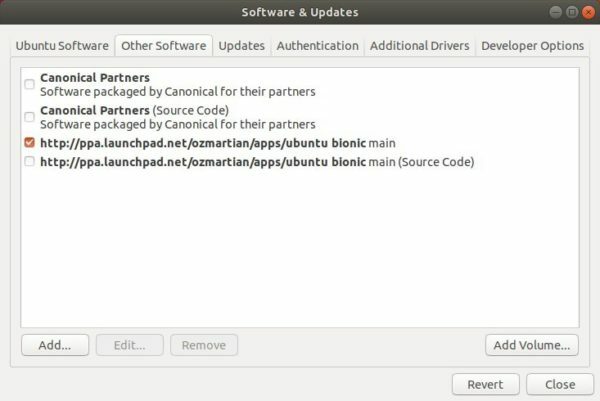 For Ubuntu 16.04, Ubuntu 17.10, Ubuntu 18.04, the new release can be installed via its official PPA. For other Ubuntu editions and Linux distributions, an executable file Appimage (make executable in file Properties -> Permissions) is available for download in the above link. To remove the PPA, open ‘Software & Updates’ utility and navigate to Other Software tab. Free and open-source video cutting and joining software, Vidcutter 5.0.5, was released a few hours ago. The new release is mainly for users of the AppImage binary which has been overhauled and tested on Ubuntu 14.04, 15.04 + KDE Neon. AppImage contains latest nightly binary of FFmpeg so SmartCut will work properly. fixed timeline slider tooltip displaying issue. Removal of Python 3 OpenGL module to allow app to work on Linux distros containing older 3.0.1 versions of the module. Right-click and go to its Properties -> Permissions window. Check the box says ‘allow executing file as program’. And right-click and run the Appimage to launch Vidcutter. 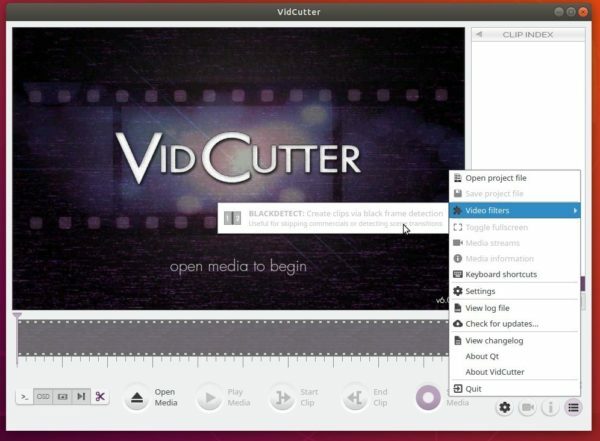 For Ubuntu 16.04 and higher users, Vidcutter can be installed via its official PPA. VidCutter, the simplest & fastest video cutting and joining application, has reached the 5.0 release with great new features and other changes. New ‘SmartCut’ feature introduced for frame accurate cuts. Improvements to stream mapping, and standard quick cutting. countless more improvements and fixes, see here. The developer’s PPA contains the latest packages for Ubuntu 16.04, Ubuntu 17.04, Ubuntu 17.10, and their derivatives.